Timmy Danger returns to the SCSO to discuss his Pure Pro wrestling show on 5/25 from Richmond, Virginia at the Hoffheimer Building. Danger has taken the bull by the horns to put it together and talks about the inception, logistics, a brief history of the wrestling scene in Richmond, runs down the card and what he wants fans to take away from it. Jay Baca opens up the Lucha Lounge for more May Mini-Reviews. The man behind The Gated Community, Edward Dao and “The Beau Show” Beau Crockett return to the SCSO to talk with Sean about Capitol Wrestling, The Old Dominion Rumble, Threat of Joy, the Making Towns Classic, the Commonwealth Cup and more. In the Lucha Lounge, Jay Baca brings the first of his Mini May Reviews. “The Rising Sun of Texas” Machiko joins Sean to tell her story. She discusses paying your dues on the road, who inspired her to get into the ring, how to separate yourself from others, her goals for the future, who she’d like to face and much, much more. Jay Baca opens up the Lucha Lounge for his series of “Mini-Reviews”, kicking them off with TNA’s weekly PPV’s in 2002. Sean finishes off the show previewing The Greatest Royal Rumble and the controversy of women not being included. JJ Blake returns to the SCSO for the first time since Episode 11 to fill listeners in on his career, Reality of Wrestling’s Last Stand this Saturday, his thoughts on the influence of Bruno Sammartino, completing his degree, what he likes to do outside the ring and much, much more. Jay Baca discusses the Season 4 premiere of Lucha Underground and pays his respects to Bruno as well. Sean finishes off the show with his thoughts on the Superstar Shakeup. Anthony Bowens is this week’s guest and talks about being a former college athlete, breaking into the business, finding your identity, leaving a legacy, being comfortable with yourself, setting an example for others and much more. Jay Baca fills fans in on his weekend in New Orleans, and Sean wraps up the show talking about some of his favorite matches and moments from a very busy week in wrestling. The star of this week’s show is most definitely Jaxon Stone. The young talent out of Dallas, Texas stops by the SCSO to talk a little WWE, his agenda in NOLA, wrestling overseas for WxW, his bond with Alexander James, how to introduce yourself to him at a show and of course we talk about all sort of Jaxon Stone facts. (52:34) Jay Baca gives his rundown of shows he’ll attend this weekend in New Orleans from Joey Janela’s Spring Break 2, to WrestleCon and much, much more! 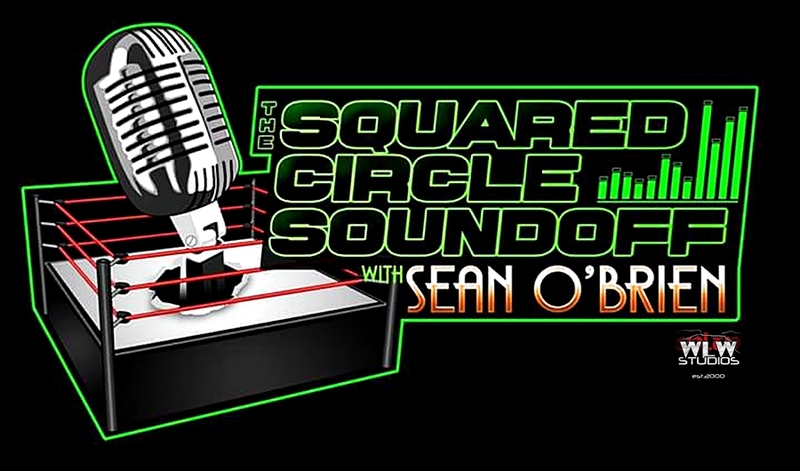 Sean closes out the show with his most anticipated matches of the weekend. Sean heads down to Texas once again to talk to “The Taker of Arms”, “The Precision Tactition” Rex Andrews. The former Reality of Wrestling TV and inaugural Texas champion discusses his career, goals, talks UFC/XFL, wrestling in various environments, his recent tour in Japan, producing new types of content and more. Jay Baca opens up the Lucha Lounge as always, and Sean runs down the upcoming guest lineup for the SCSO. Sean invites Austin Theory to the SCSO this week to talk his breaking into the business via bodybuilding, the origin of his name, his greatest accomplishment, facing opponents such as Zack Sabre, Jr., Fred Yehi, AR Fox, Trent Barretta and who he wishes to face in the future. Austin also discusses his alliance with Priscilla Kelly, working with Gabe Sapolsky, Evolve 100/101, his recent WWE tryout and answers a few questions from listeners and much more. Also catch Jay Baca as he lists his top five Midnight Jury moments to celebrate their 5 year anniversary here at WLW Studios.